If you're looking for more info on this story, we'd be happy to set you up with someone to speak to about why this story is relevant to your audience. May 23, 2017 - Summer, beaches, and swimming are just around the corner, but what if we told you that favourite areas are under siege. Yes, even your favourite sandy beach is likely under threat. Ontario’s most invasive plant, Phragmites, is a tall reed, that is spreading fast along shorelines taking over wetlands and beaches and obstructing your views and destroying habitat. The spread of Phragmites has the potential to negatively impact farmers, fisherman, and tourism in your area. Not sure if you’ve ever seen Phragmites? 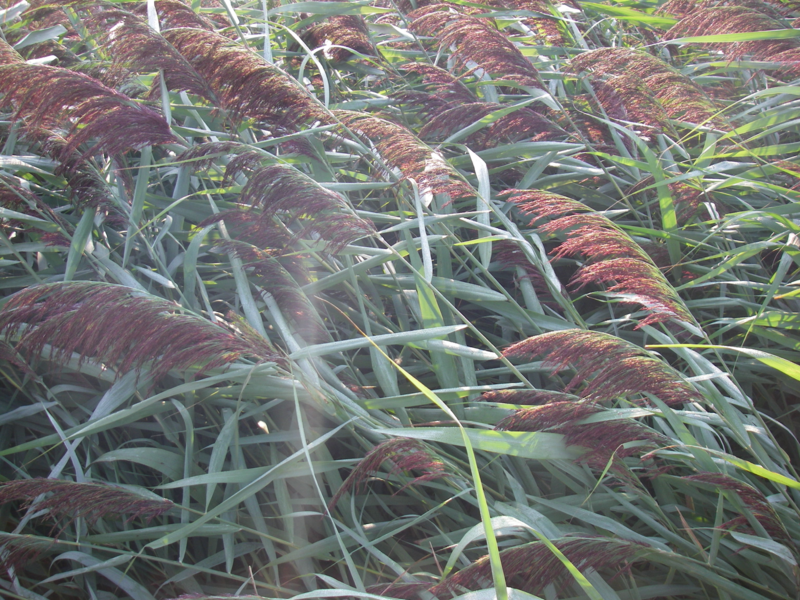 It is a wetland perennial, that can grow up to 5 metres tall, and has a tassel on the top. It can spread over 3 metres per year and grows in extremely large, continuous clumps, eliminating habitat for native species and out competing natural vegetation along Ontario roads, wetlands, and on beaches. The plant has spread by almost 30% between 2010 and 2017 with over 5000 hectares (around 6000 Canadian football fields) of strongly established colonies of the weed in the province. Virtually every region of Ontario has been impacted by the steady advance of this plant, which has been identified in the Kitchener-Waterloo area, Sarnia, Leamington, Windsor, Port Elgin, and the shorelines of Lake Erie, St. Clair, and southern Lake Huron. The impacts and cost of this invasion is not limited to the ecological and environmental damage to native species and even the species at risk it out competes. Last year in Ontario over 1 million dollars was spent to control the weed. It has also become a significant, and rapidly increasing budget item for many municipalities as control and eradication become a bigger expense. We know what the problem is with Phragmites, but how to fight back? The good news is that organizations such as Ontario Phragmites Working Group (OPWG), the Ontario Invasive Plant Council (OIPC), Nature Conservancy of Canada, Ducks Unlimited Canada, Ministry of Natural Resources and Forestry, Georgian Bay Forever, Lambton Shores Phragmites Community Group, and numerous Municipalities, Conservation Authorities and Private Organizations are hard at work doing just that. 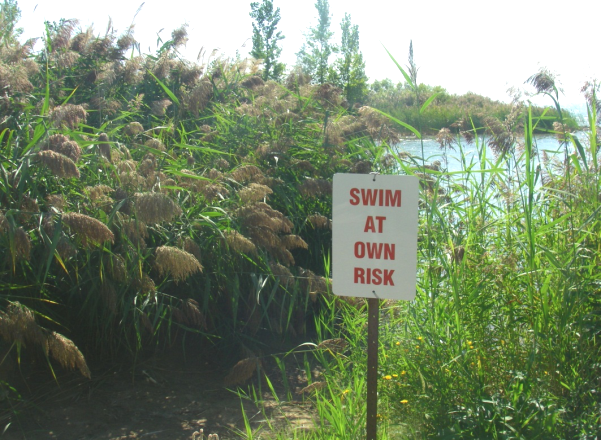 On their websites (www.opwg.ca) and (www.ontarioinvasiveplants.ca) you can find tips on identifying Phragmites, and steps to take to respond to new outbreaks since early eradication remains the first and best step to take. The Invading Species Awareness Program also has a web-based reporting tool to map invasive plants, find it here. It’s a simple action people can take, with a big impact. Smaller infestations can be managed by cutting but for significant infestations, herbicide control remains the only viable option. If you want to learn more, contribute or assist the eradication efforts, visit their websites. This copy is being provide for the use of your publication, we can provide images of Phragmites infestations. Photo credit Janice Gilbert.